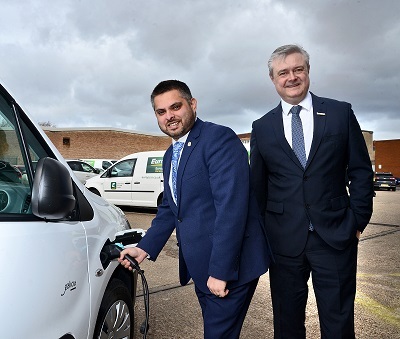 Councillor Waseem Zaffar, Birmingham City Council’s Cabinet Member for Transport and Environment, officially opened the ground-breaking new Europcar Van Supersite in Birmingham Newtown on the 13th March 2019. Reflecting the growing importance of the Midlands Engine to the UK economy, Europcar Mobility Group UK has committed significant investment to its latest Van Supersite, complementing its Supersite network which runs down the spine of the UK. And with the introduction of “Clean Air Zones” (CAZ) a key challenge for UK businesses – with Birmingham’s CAZ scheduled for introduction in 2020 – the new site provides access to a wide range of compliant, multi-modal transport solutions.